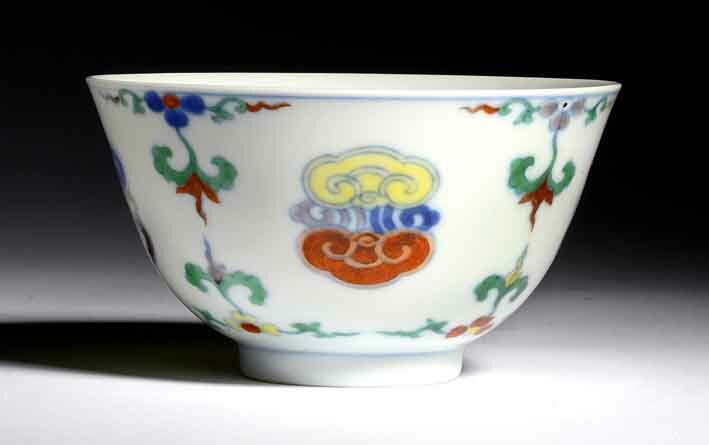 This sector comprises art and antiques from China including works from the Han, Tang, Yuan, Ming and Qing dynasties. There is a market for pieces of all ages and rarity from ancient Neolithic jades right up to ceramics made in the Republic era. The increased interest and purchasing power from Mainland China since the late 1990s has led to a significant rise of prices. Did the final days of 2018 provide the year’s greatest discovery? Bidders who pursued a bronze dragon head from €20,000 to €2.4m (£2.2m) at the Drouot in Paris on December 17 certainly thought so. Estimated at £40-60, this unusual Chinese scholar’s object took £32,000 (plus buyer’s premium) at a recent auction at Rogers Jones in Cardiff. An exceptionally rare Western Zhou bronze, taken when the Summer Palace was sacked by British troops in 1860, has been returned to China. Two under-catalogued Sino-Tibetan bronzes illuminated the regional saleroom scene with multi-estimate sums in the final days of November. Danish auctioneer Bruun Rasmussen has withdrawn a Chinese flask from sale for the second time following disagreements over its age. The influx of Asian art buyers that accompanies the Asian Art in London initiative also encourages activity across the Irish Sea. Both Adam’s (20% buyer’s premium) in Dublin, for the first time, and Sheppards (20% buyer’s premium) in Durrow held designated sales on November 3 and November 11 respectively. Among the most coveted of all the standard Chinese export porcelain designs is the so-called ‘Rockefeller’ pattern or Palace ware. Woolley & Wallis celebrated its 10th £1m-plus lot last week, selling a portrait by Chinese contemporary artist Yang Fei Yun (b.1954) for £1.7m (plus premium). The sitter – the artist’s wife pictured in the early days of their marriage – was in Salisbury to watch the sale. The organisers of Asian Art in London are to abandon the event’s ‘best objects’ award after doubt was cast on the authenticity of one of this year’s winners. The Danish auctioneer which won the award however is standing by the Yuan attribution for the flask after conducting a scientific test. Dogny Auction in Switzerland will be offering around 75 lots of ceramics and other Asian works art from the collection of Rolf Heiniger in its winter sale on December 4-5 in Lausanne. Woolley & Wallis in Salisbury sold an important oil by Chinese contemporary artist Yang Fei Yun (b.1954) today for £1.7m (plus 25/12% buyer’s premium). It came for sale from the charity established by Body Shop founder Dame Anita Roddick (1942-2007).